The Golden State Warriors are riding an unprecedented wave of success as they have recently become the fastest team to win 50 games in an NBA Season. 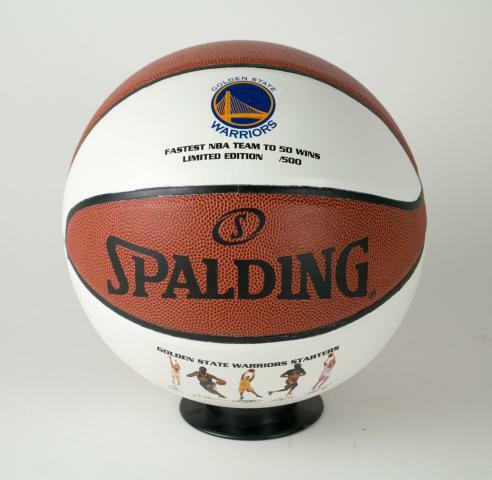 This special commemorative basketball was created to honor the Warriors and their climb to the top of the NBA. 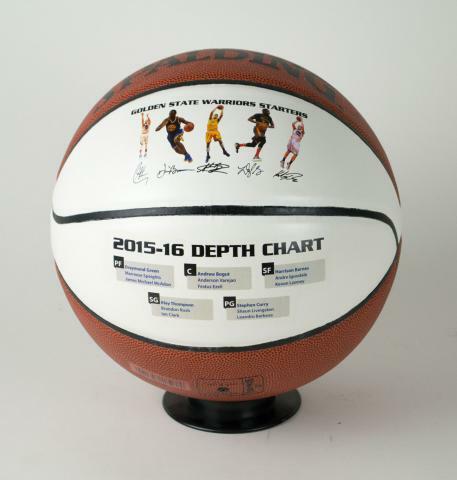 Each ball features special panels that include the team's logo, "Fastest NBA Team to 50 Wins" inscription, images of the team's Starting Five, facsimile signatures of the starters, and the team's depth chart. Evey player listed has contributed to the team's success, and this ball is a tribute to that success. Warriors fans and NBA fans across the country will create strong demand for this limited edition collectible. Order yours today. Due to the limited nature of this offer we must charge your credit card for the full price immediately upon taking your order. This policy ensures we reserve a ball for you. We will confirm your order by Email. This ball is not game used. 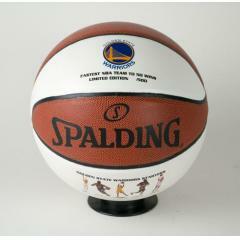 Warriors Fastest Team to 50 Wins Commemorative Ball $89.95 Sold Out!